WTOP senior sports director Dave Johnson details his pregame ritual, as he prepares to broadcast the Wizards Game 6 against the Celtics. WASHINGTON — Many Washington Wizards fans are going through pregame rituals, as the team faces elimination in round 2 of its NBA playoff series against the Boston Celtics, trying to keep the Wiz’s mojo going. 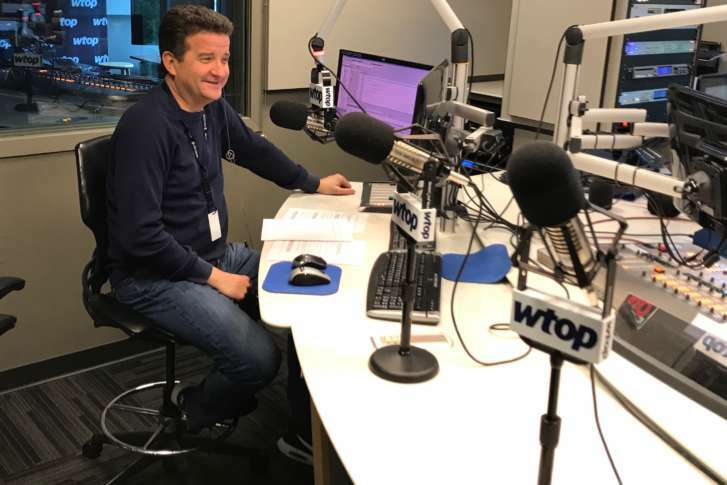 WTOP senior sports director Dave Johnson has a very important appointment, after finishing his morning sportscasts, and before his night job as play-by-play announcer on the Wizards Radio Network — with his pillow. In the same way fans have routines before important sporting events, Johnson, who is now in his 20th year calling Wizards games, has his second shift mapped out, having completing his morning drive radio appearances. Some aspects get more attention. Asked what suit and tie he’ll be wearing for Friday night’s broadcast, Johnson laughed. With an 8 p.m. tip-off, Johnson will arrive at the Verizon Center about four hours early. Johnson and color analyst Glenn Consor engage fans on Twitter with #radioparty, during their broadcast which airs in the D.C. area on 1500 AM, WTOP’s sister station. “As it gets closer, I’ll talk with head coach Scott Brooks and various players,” said Johnson. “It’s really just getting immersed in the environment, before the 8 o’clock tipoff. Some fans will eat certain foods before a big game. In the past Johnson ate the same submarine sandwich during the playoffs, but he scratched the idea after the team was eliminated. Before Game 6, Johnson will eat at the media buffet. “I just want a little bit of protein,” he said. After a day that began with an alarm clock at 3 a.m., Johnson doesn’t expect to be tired at tip-off. “The adrenaline of the game never fails to kick in,” he said.